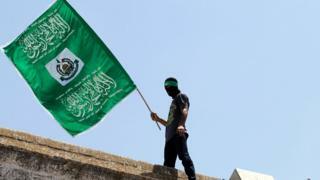 The Palestinian militant group Hamas says it is ready to dissolve the committee that rules Gaza and hold a general election for the first time since 2006. It also said it was aiming for more talks with rivals Fatah as it aims to end a decade-long split. Representatives of both groups have been meeting senior Egyptian officials in Cairo. Fatah welcomed the statement and thanked Egypt for its efforts. Fatah’s deputy leader Mahmoud al-Aloul gave a tentative welcome to the news and called for other issues to be resolved, including control of border crossings. After deadly clashes in 2007, Fatah was driven out of the Gaza Strip. Attempts by the two factions to form a unity government in Gaza and the West Bank since then have failed. Hamas won the 2006 election but after the 2007 clashes, President Mahmoud Abbas dismissed the Hamas prime minister. The group continues to control Gaza, while Fatah leads the Palestinian Authority in the parts of the West Bank not under Israeli control. In Sunday’s development, Hamas said it was ready for negotiations on setting up a unity government. It is not yet clear whether Hamas is ready to place its security forces under Mr Abbas’s control – a major sticking point in the past, Associated Press reports. A rift nears an end? It has been a key demand of President Abbas and his Fatah faction that Hamas dissolve the administrative committee that it set up in March. It is seen as a rival government to the Fatah-dominated Palestinian Authority, based in the West Bank. In recent months amid deepening political divisions Mr Abbas has piled pressure on Hamas, taking some controversial steps such as reducing electricity payments for Gaza. Egypt has long acted as a go-between to try to end the damaging rift between the two main Palestinian factions. Hamas as a whole, or in some cases its military wing, is designated a terrorist group by Israel, the US, EU, UK and other powers. Since 2007, Israel and Egypt have maintained a land and sea blockade on Gaza in an attempt to prevent attacks by Gaza-based militants.